During 1992-1993 in India, a UNICEF-supported survey was conducted in Dibrugarh District of Assam State to determine the prevalence of iodine deficiency disorders (IDD), especially goiter. The prevalence of goiter remained high (42.2%) in Dibrugarh District (65.8% in 1989). 46.95% of all iodated salts had less than the optimum level of iodine (15-29.99 ppm). Storage practices affected the iodine content of the salt. For example, within a month and a half, the iodine content of salt stored in earthenware pots is reduced to about 25%. 82.4% of all women 14-45 years old did not perceive goiter as a disease. 98.13% did not know that iodized salt was available in their neighborhood. Yet, the sale of non-iodized salt has been banned in Assam since 1989. An in-depth study was conducted in Sonitpur and Tinsukia districts to determine whether raw salt was imported from the west coast (e.g., Gujarat) to Assam. Transport of iodized salt in remote areas (e.g., Sadia and Lido) took a long time in Tinsukia and storage in earthenware pots, resulting in deterioration of the quality of salt. Salt is transported to Assam in open wagons, which exposes the salt to the sun and the rains. Wholesalers store salt in thick polythene bags which are in turn kept in covered godowns. Retailers sell the salt from open verandas, which exposes the salt to rain and sun. Household storage practices include plastic or glass jars with or without a cover (80.89% and 12.15%, respectively), gourd shells (1.5%), bamboo containers (2.05%), and earthenware pots (3.41%). The quality of iodized salt sold by fraudulent traders was much lower than that sold by reputed firms. The government of India's IDD program monitors the quality of iodized salt. It provides feedback to the state government. Monitoring should be a systematic and continuous process. Assam's government has set up its own monitoring program, focusing on the household level (salt samples: 64.8%). During 1993-1994, 79.7% of salt samples had a satisfactory level of iodine and 2.7% had no iodine at all. Iodine Deficiency Disorders (IDD) are widely prevalent in our country and their consequences for human development are well known. The scope of National Goitre Control Programme (NGCP) launched in 1962 was expanded and the programme was renamed as National Iodine Deficiency Disorders Control Programme (NIDDCP) to connote wider implications of iodine deficiency in population. It is necessary to monitor the progress of NIDDCP using quantifiable indicators to ensure achievement of programme objectives. 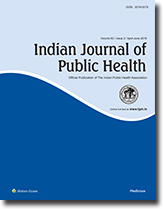 Prevalence of iodine deficiency disorders, status of iodised salt and level of knowledge. Attitude & practice (KAP) of community regarding IDD and iodised salt are a few such indicators. Children in the age group of 8-10 years are considered most appropriate target group to monitor IDD prevalence. The quality of iodised salt assessed at various levels in West Bengal (using field testing kit) indicated 'satisfactory' iodine content (i.e. > or = 15 ppm) at wholesalers (84.3 per cent), retailers (74.3 per cent) and consumers (71.2 per cent) level. It is suggested that the quality of iodised salt should be periodically assessed and intensive educational campaigns on IDD be launched to create increased demand for consumption of iodised salt in the community. Iodine Deficiency Disorders are one of the biggest worldwide public health problem of today. Their effect is hidden and profound affecting the quality of human life. An attempt has been made to describe the various aspects of the National Iodine Deficiency Disorders control Programme (NIDDCP) being implemented in the country. The paper also focuses about the problems associated in implementing this national programme. Iodine deficiency disorders are prevalent in all the States and Union Territories in India. Under the National Iodine Deficiency Disorders control programme, the Government of India has adopted a strategy to iodisation of all edible salt in the country which is a long term and sustainable preventive solution to eliminate iodine deficiency disorders. The benefits to be derived from universal salt iodisation are more to the population. Iodised salt is safe and does not cause any side effect.